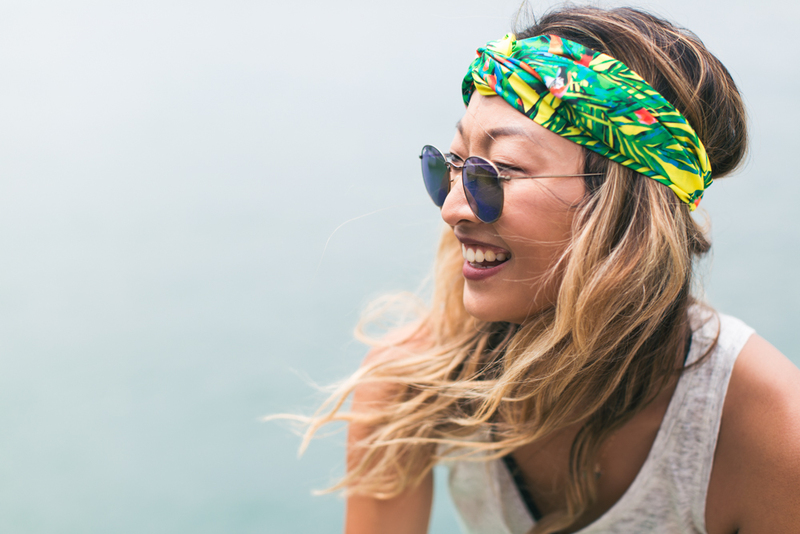 Helen Chik is a fashion, lifestyle and travel blogger based in Sydney. We had met originally through fashion startup Grana, when I photographed her for a styling session. 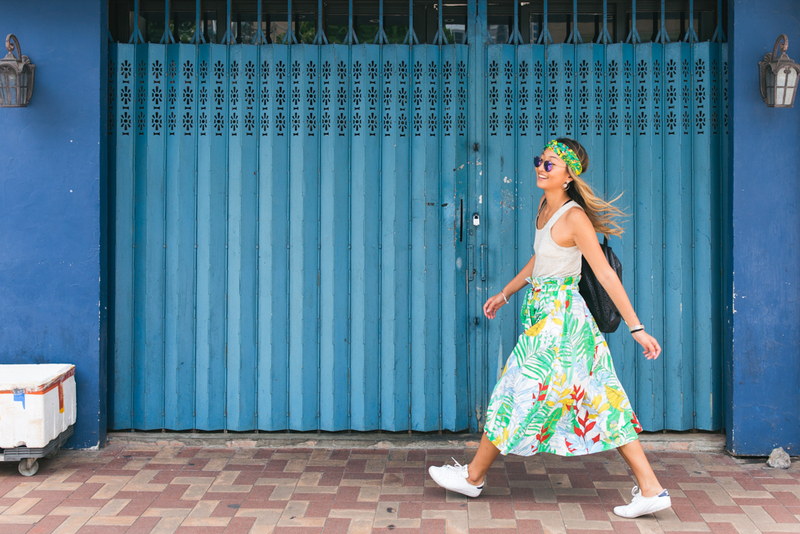 When Helen was visiting Hong Kong again, we went out exploring some of the local neighborhoods on Hong Kong Island together for a photoshoot. 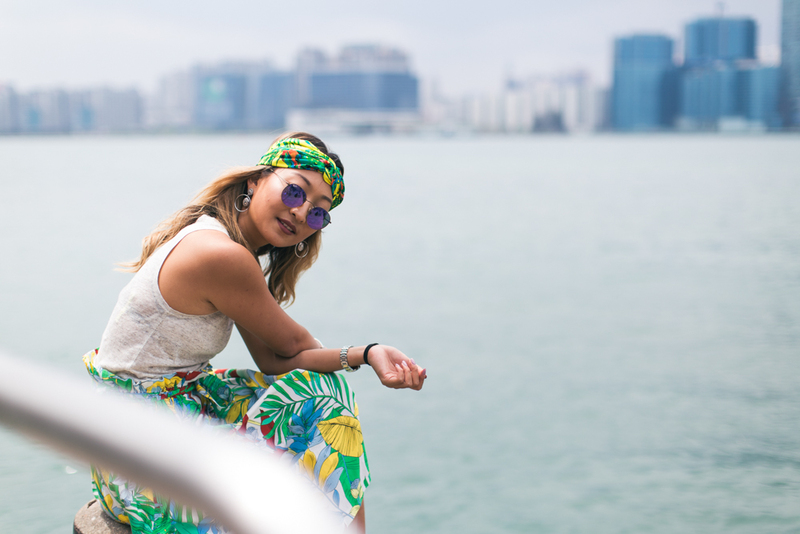 As a full-time blogger, she not only writes on her own blog and social media, but also is a regular contributor for Contiki and the market editor for Grazia. Her fun and playful sense of style lights up the room with her presence, and I had a fabulous time photographing this talented young woman! 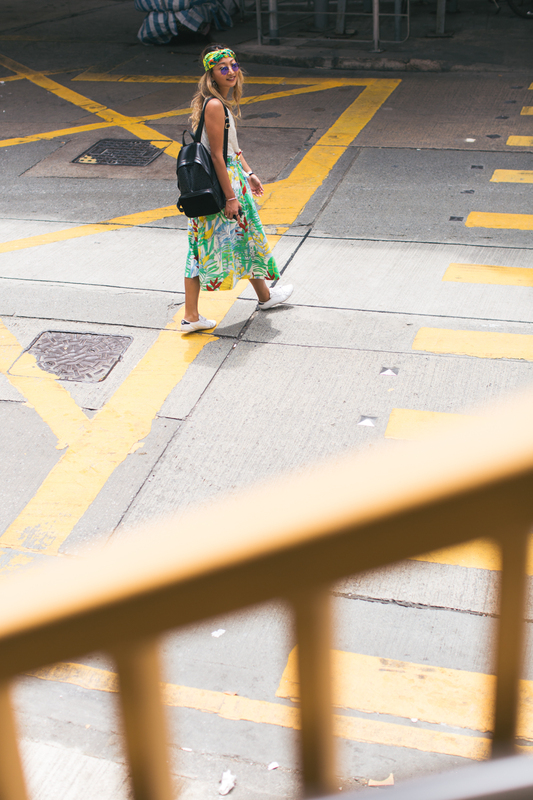 For this shoot, Helen’s colorful floral skirt really stood out in the streets of Hong Kong. We started off in the Tai Hang neighborhood, seeking interesting store fronts for a local flare. We then headed to North Point, where we were inspired by the fading building facades along the tram tracks. Helen also took out her own camera and snapped away in the wet market! Our final stop got us a little peace and quiet at the North Point Pier in front of Victoria Harbour. It was a great spot to relax (among the old men fishing), and it was where I got my personal favorite shot of Helen – a minimal, close-up portrait with the water blended into a dreamy teal hue and Helen’s long hair waving in the breeze.